North­eastern Uni­ver­sity researchers have received a $5 mil­lion grant from the National Sci­ence Foun­da­tion to estab­lish an inno­v­a­tive schol­ar­ship and men­toring pro­gram that sup­ports col­lege transfer stu­dents from under­rep­re­sented back­grounds who are studying and doing research in energy. The ped­a­gogy North­eastern develops through the new pro­gram can serve as a national model for edu­cating and sup­porting col­lege stu­dents through the transfer process. The five- year program–called Stu­dent Path­ways Opening World Energy Resources, or S-POWER–aligns with a national imper­a­tive to increase work­force diver­sity in STEM fields and the energy sector. According to the NSF, the pro­gram seeks to address two pri­mary national crises: the extremely low per­sis­tence rate of under­rep­re­sented minority transfer stu­dents from two- or four- year insti­tu­tions that don't offer degrees in STEM to insti­tu­tions that do grant degrees in STEM, and the need for fun­da­mental research and training in energy- related fields in order to pre­pare a new gen­er­a­tion of energy experts. The vision of S- POWER is to rev­o­lu­tionize the ped­a­gogy with which col­leges and uni­ver­si­ties suc­cess­fully edu­cate transfer stu­dents, par­tic­u­larly those with finan­cial need as well as those who are under­rep­re­sented minori­ties, female, and first- generation students. "We want to develop some­thing that is not only pro­gram­matic but also based in edu­ca­tional research," said Richard Harris, assis­tant dean for aca­d­emic schol­ar­ship, men­toring, and out­reach in the Col­lege of Engi­neering and director of the North­eastern Uni­ver­sity Pro­gram in Mul­ti­cul­tural Engi­neering. "The idea is to use this as an edu­ca­tional research tool–that once we con­clude this we'll have iden­ti­fied the key aspects of how to repli­cate this nation­ally and insti­tu­tion­alize it at North­eastern in a way that builds upon the work that started with this $5 mil­lion grant." The pro­gram will pro­vide schol­ar­ships for up to 160 under­grad­uate and grad­uate stu­dents; par­tic­i­pating stu­dents will each be eli­gible for up to $30,000 in direct finan­cial aid. North­eastern is part­nering directly with two His­tor­i­cally Black Col­leges and Uni­ver­si­ties across the South–Clark Atlanta Uni­ver­sity and Hampton University–as well as Mass Bay, Mid­dlesex, and Northern Essex com­mu­nity col­leges in Mass­a­chu­setts. Through the pro­gram, under­grad­uate stu­dents from these insti­tu­tions will transfer into Northeastern's Col­lege of Engi­neering, begin­ning with the first cohort of about 25 stu­dents in fall 2017. 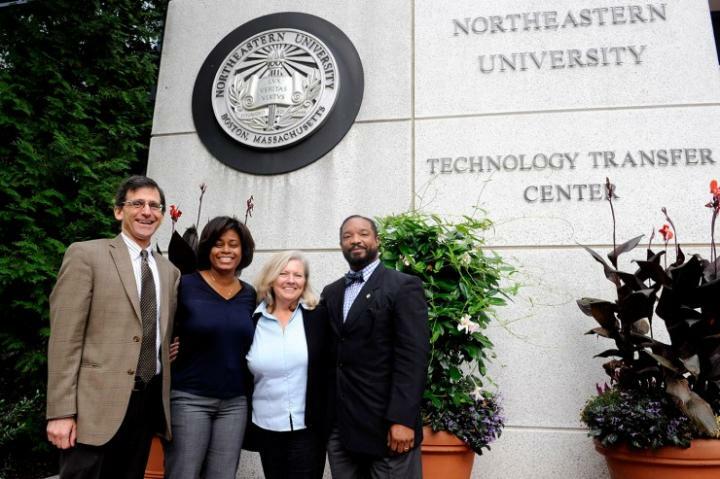 Future S- POWER cohorts will also include stu­dents who grad­uate from Hampton Uni­ver­sity with under­grad­uate degrees and who want to pursue engi­neering grad­uate pro­grams at Northeastern. North­eastern will work closely with these part­ners to build a col­lab­o­ra­tive edu­ca­tion, admin­is­tra­tive, and men­toring ecosystem that uniquely sup­ports stu­dents throughout the transfer process. This includes map­ping out each student's cur­riculum before and after the transfer to ensure spe­cific edu­ca­tional gaps are addressed. North­eastern will also help its part­ners imple­ment many aspects of the S- POWER pro­gram back at their own institutions. The pro­gram will also focus on building social and men­toring ties with stu­dents in a number of ways. One key com­po­nent is a summer pro­gram on Northeastern's campus that will help transfer stu­dents accli­mate to the uni­ver­sity while par­tic­i­pating in research projects. The pro­gram will leverage Northeastern's renowned expe­ri­en­tial edu­ca­tion model as well as its focus on use- inspired research to solve global chal­lenges in health, secu­rity, and sustainability–the university's three pri­mary research thrusts, all of which tie closely to global energy chal­lenges, Harris said. Once stu­dents have trans­ferred, they will have the oppor­tu­nity to par­tic­i­pate in co- ops in the energy sector and con­duct research with Northeastern's S- POWER fac­ulty men­tors. S- POWER will engage industry part­ners to sponsor addi­tional stu­dent projects. One pro­gram objec­tive is for S- POWER grad­u­ates to be fully employed in an engi­neering or sci­ence field within six months of grad­u­a­tion. The S- POWER lead­er­ship team points to Northeastern's strength in this area: Ninety- two per­cent of North­eastern grad­u­ates are employed full time or enrolled in grad­uate school within nine months of grad­u­a­tion, and 89 per­cent of employed grad­u­ates are doing work related to their major. The program's unique strate­gies also include cre­ating the­matic cohorts of stu­dents, fac­ulty, and industry pro­fes­sionals. Each cohort will focus on a par­tic­ular area, such as making solar energy more eco­nom­ical or cre­ating energy from fusion–which are two of the National Academy for Engineering's "Grand Chal­lenges for Engi­neering" in the 21st century. The pro­gram will estab­lish a robust men­toring and advising net­work, in which stu­dents will have a fac­ulty mentor from both North­eastern and their orig­inal schools. They will also have men­tors from the energy industry and orga­ni­za­tions such as the Greater Boston chapter of the Amer­ican Asso­ci­a­tion of Blacks in Energy, while get­ting sup­port from their peers from var­ious North­eastern stu­dent orga­ni­za­tions such as Northeastern's chapter of the National Society of Black Engi­neers and the Society of His­panic Pro­fes­sional Engi­neers. In fact, once stu­dents com­plete the pro­gram, the goal is for them to become alumni men­tors to cur­rent S- POWER students. Stu­dents will also be con­nected with a variety of uni­ver­sity resources, including the John D. O'Bryant African- American Insti­tute, the Latino/ a Stu­dent Cul­tural Center, the Center for STEM Edu­ca­tion, and the North­eastern Uni­ver­sity Center for Energy Edu­ca­tion and Research. The pro­gram will also involve studying, ana­lyzing, and doc­u­menting the bar­riers for under­rep­re­sented minority transfer stu­dents and dis­sem­i­nating best prac­tices to both Northeastern's partner insti­tu­tions and the broader higher edu­ca­tion community. Brad Lehman, pro­fessor in the Depart­ment of Elec­trical and Com­puter Engi­neering, is prin­cipal inves­ti­gator on the project, whose lead­er­ship team includes co- principal inves­ti­ga­tors: Harris; Mar­ilyn Minus, asso­ciate pro­fessor in the Depart­ment of Mechan­ical and Indus­trial Engi­neering; Claire Duggan, director of the Center for STEM Edu­ca­tion at North­eastern; and Khalil Shu­jaee, pro­fessor of com­puter sci­ence at Clark Atlanta University.